Social media sites like Facebook and Twitter maybe growing but UK consumers are still turning to Google when it comes to search and we're searching more and more. According to the latest monthly figures from Experian Marketing Services, Google grew its share of the UK search market In May for the third consecutive month, and now nearly 91 out of every 100 searches in the UK use Google. UK Internet users made 2.3 billion visits to search engines in May 2012, up by 82 million visits, representing a 3.7 percent monthly increase in search activity and a 3.6 percent year-on-year increase. In total, Google Sites accounted for 91.17 per cent of all searches conducted in the UK in May 2012, up by 0.15 percent from April 2012. 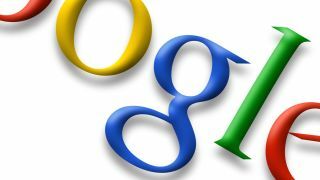 Year-on-year Google also saw positive growth with a 0.65 percent increase in market share of searches compared to May 2011. The rise in Google searches was at the expense of Microsoft, Yahoo and Ask who all saw their percentage of searches fall. The rise for Google was all the more surprising considering there was a major campaign by Microsoft for Internet Explorer which featured bing heavily. Microsoft Sites led by bing were down by 0.03 percent with an overall market share of 3.84 percent. The most severe decline of the month was for Ask Sites which dropped 0.08 per cent in the last month. James Murray, Digital Insight Manager for Experian Marketing Services commented: "Google continues to dominate the UK search market as we've witnessed three consecutive months of growth in market share for the UK's most popular search engine. However, we keep stressing it's not all about Google. There are niche audiences and opportunities that exist by working with some of the other top search engines, and understanding who your audience is and how they convert can make a crucial difference to your digital strategy and your ROI."